Veterans Theater does theater for social change performances. Our next performances are afternoon 2:00PM, and evening at 7PM of December 16th, The play is called 'Labels and Bullying', will be Alma d' Arte theater, 402 W. Court Ave.
3. We continue our campaign to have a SPICE BAN City Ordinance passed by City Council banning all synthentic concoctations used to get high, such as Spice (K-2), synthetic cocaine, etc. See Boje (Aug, 2016) Bath Salts and Spice Business Case pdf. April 4 2016 - presentation on Eco-Village for Veterans to the City Council of Las Cruces see PowerPoint Slides. The November 23 2016 Plan for two Veterans Eco Villages, Phase I -Rodeo Property A-Mountain for Legacy Ranch and the Student Veterans' Eco- Village of Tiny Homes; Phase II - Burn Lake City of Las Cruces for Homeless Veterans (and Other Homeless). This is for the next meeting of NMSU Board of Regents - Real Estate Committee presentation. 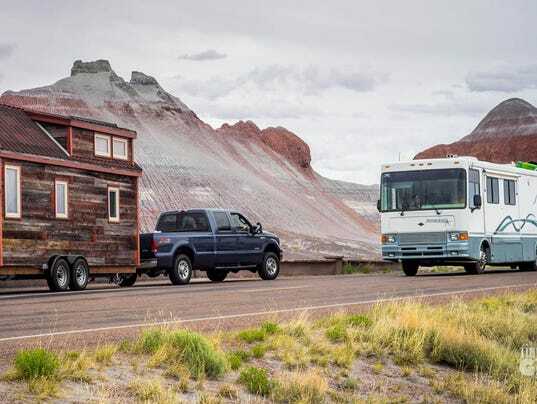 Sustainable Tiny Homes in ECO-VILLAGE in Las Cruces would be a profitable and low cost investment for local businesses. They would be a valuable alternative for anyone who would like to live simply in a portable sustainable home and become self-reliant. Since 9-11, 2001, 2.8 million troops have been deployed to Iraq War and Afghanistan War. They are coming home. Will they be treated any better than our Vietnam War Veterans? (see past plays). Put your ad in our PROGRAM (Playbill)and in Total, we will print over 2,000 playbills in 2015-2016 season. Veterans Theater believes that every veteran is a star! Veterans develop their own unique talents through theater. Veterans Theater is a nonprofit organization dedicated to providing the best Theater of Social Change and Justice in New Mexico and appreciates your support. Let all their stars shine! VETERANS THEATER is concerned: Why do SPICE businesses continue to have business licenses in Las Cruces? "NYC Selling or producing K2 was previously only considered a health code violation in New York state, punishable with a $250 fine. Under the new laws, offenders can be sentenced to a year in jail and fined up to $50,000. Shops could also be shut down" -- More. We are Veterans Theater http://veteranstheater.com We did a buy of SPICE (k2) 2 days after the police raided the place, and supposedly shut down the spice trade. But here it is. Use of SPICE (aka K2) has skyrocketed. Some 450 synthetic (fake) cannabinoid compounds are sold by business, many here in the USA. Smoking spice leads to very aggressive, angry behavior, to vomiting stomach pain, severe anxiety, and too often death. Smoking spice is like playing Russian roulette. Is this a false narrative or an under-count. Jennings in NPR, says "That narrative goes something like, American enlists, American goes to war, American comes back and is diagnosed with a mental health condition or is broken — somehow there's this connotation — and because they have PTSD, they ultimately kill themselves. That's a false narrative" (NPR). 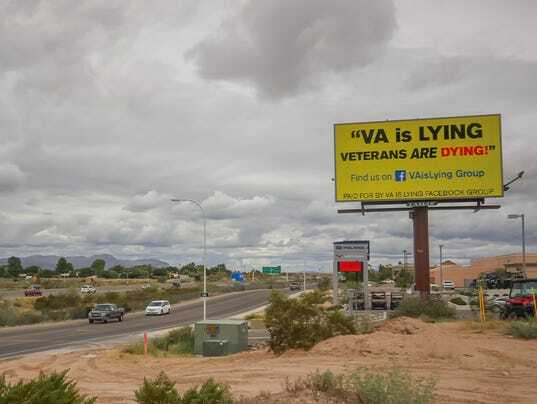 LAS CRUCES — Billboards claiming the "VA is Lying Veterans are Dying" are going up, including one in Las Cruces, New Mexcio. Fact: 900,000 veterans have pending applications to access health care at the Department of Veterans Affairs. One third of those veterans seeking care, not getting it, are thought to be dead. The VA has not effectively managed its care delivery. See this Associated Press report. Veterans Theater puts on plays by veterans, with veteran actors about just this sort of mess, and what can be done about it. How you can help: Click on GoFundMe - Thank you! members of its VETERANS THEATER program, are seen here donating charcoal, extension cords, clothes lines, and charcoal starter to a Day Shelter, somewhere in the Southwestern United States. We live in New Mexico that has 173,000 veterans known to the VA, but another 200,000 that have not even tried to register. We live in Las Cruces, where most of that help comes from El Paso VA hospital and offices, but it is the worst rated VA delivery in the nation, with among the longest wait times for care. February, 2016, go to Albuquerque and do Veterans Theater, and stay in KOA, to give our homeless and transitional housing veterans a break from their life in Las Cruces. We have an invitation to the National Social Work Conference from the student organization Phi Alpha. All these plays, mean rehearsal, picking up the proper sound equipment, having a van to transport actors and crew, and that equipment to each event. Don't forget the homeless suicides". Between 2000 through 2009, mortality rates for suicide, unintentional poisoning, unintentional falls, etc. increased by 15%, 128%, & 71% respectively. Suicide ranked first as a cause of injury mortality, followed by motor vehicle traffic crashes, poisoning, falls, and homicide source. These are the icons of military warrior, turned to help USA in the sea of madness. Veterans Theater BLOG.